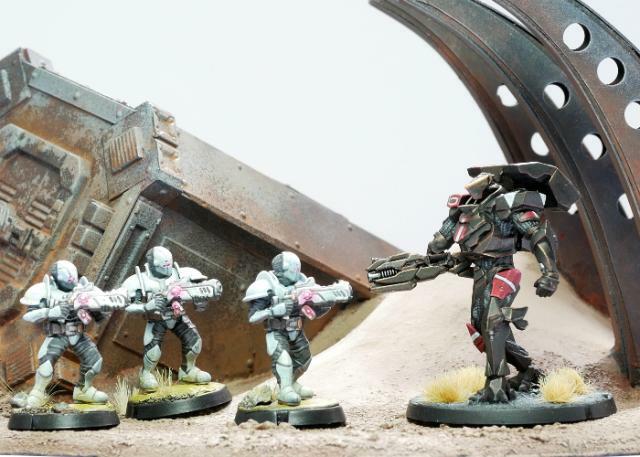 Spiral Arm Studios are thrilled to present our latest plastic kit: The Remnant Militus Battlesuit! 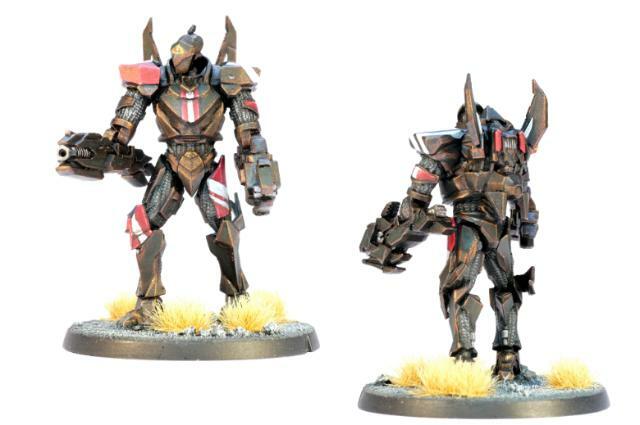 This is the first kit for the Artarian Remnant, the newest faction to join the fray at the Maelstrom's Edge. 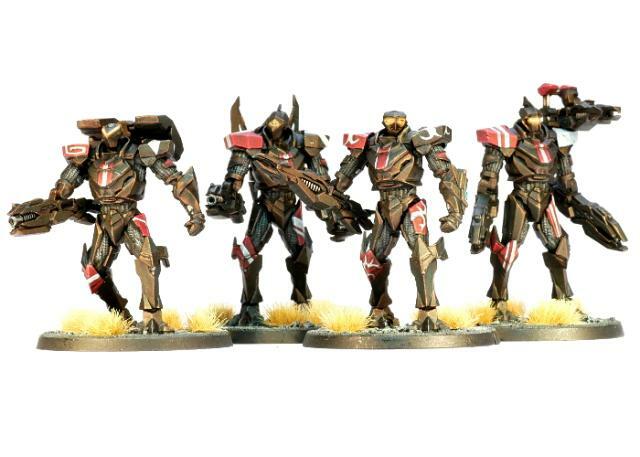 The Militus kit is available now from the Maelstrom's Edge webstore. 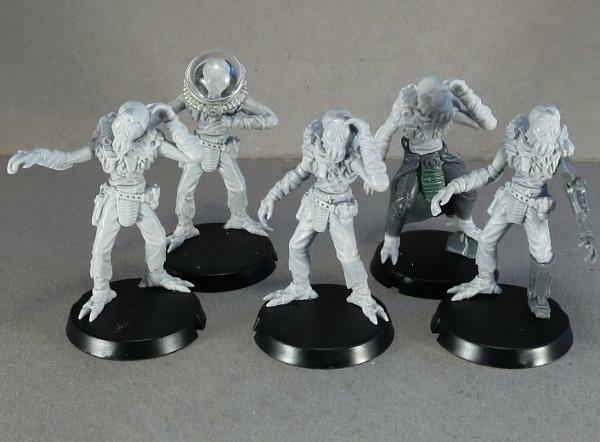 Faction rules are still being finalised, as the other models for the Remnant are still being developed, but will be added to the website as soon as they are ready to go! 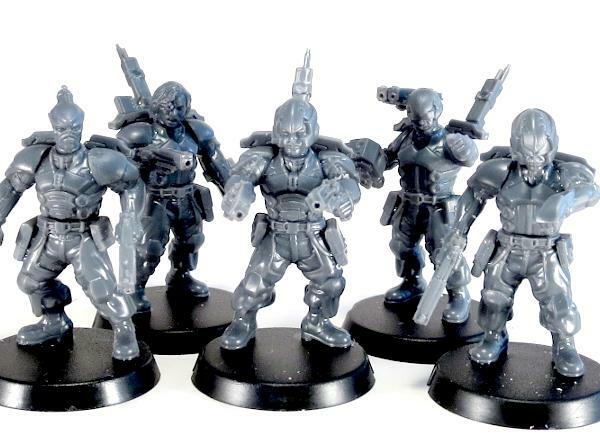 We are very proud to announce the immediate availability of our latest plastics - the Epirian SecDef. 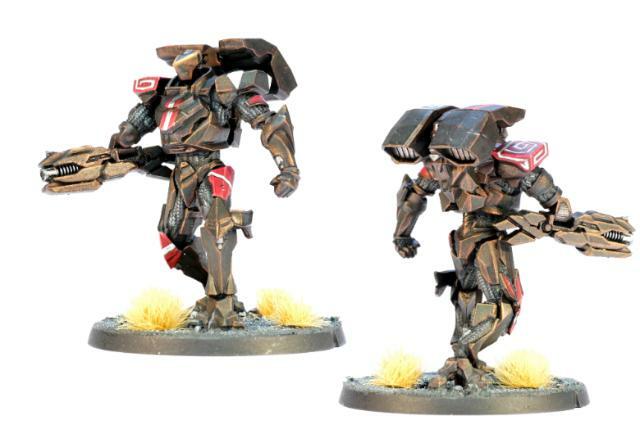 These guys have exo-augmented armour, allowing them to be a much more powerful and effective fighting force than their contractor allies. 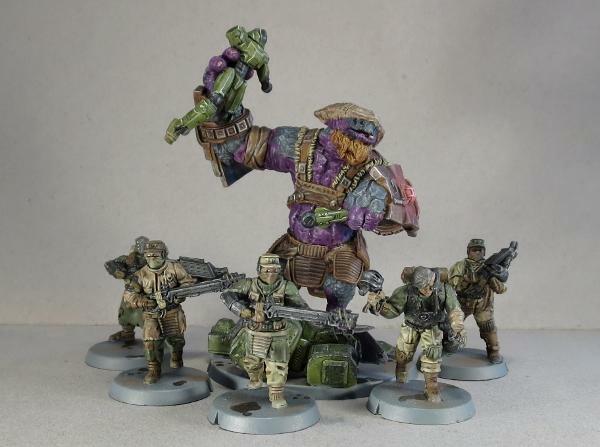 Available now at https://www.maelstromsedge.com/store/41/3x%20Epirian%20Secdef%20Infantry, along with details of their history and background. 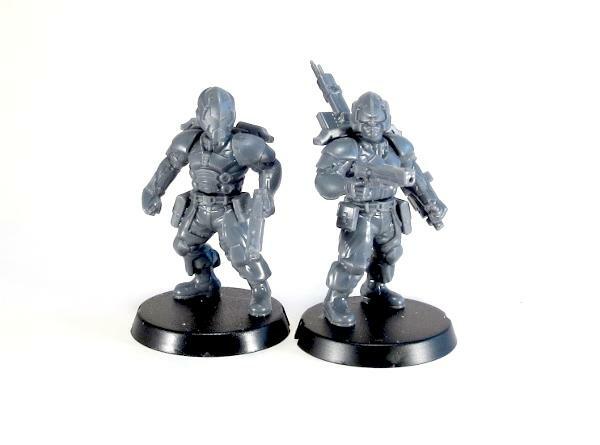 Below, you can find instructions for assembling these great new models! 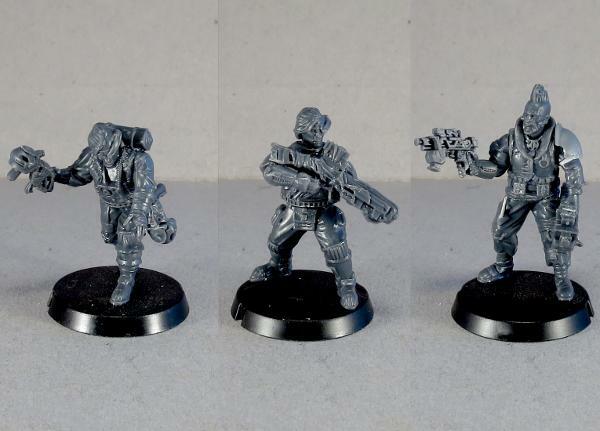 For some more ideas for building your Secdef models or to share your own creations, head on over to the Comm Guild Facebook page. 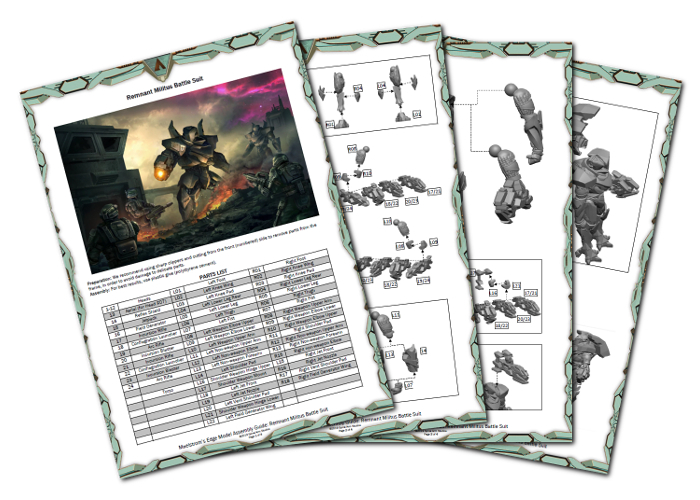 You can pick up the Secdef sprue, and the rest of the Maelstrom's Edge miniature range, from the webstore here. 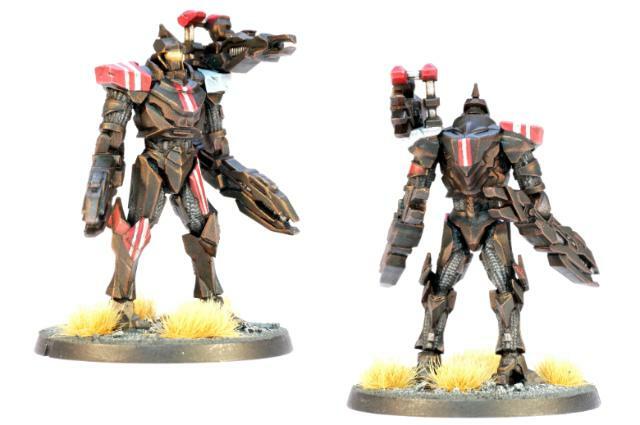 The Epirian Master Bot Handler is the latest plastic kit to be added to the Maelstrom's Edge range. 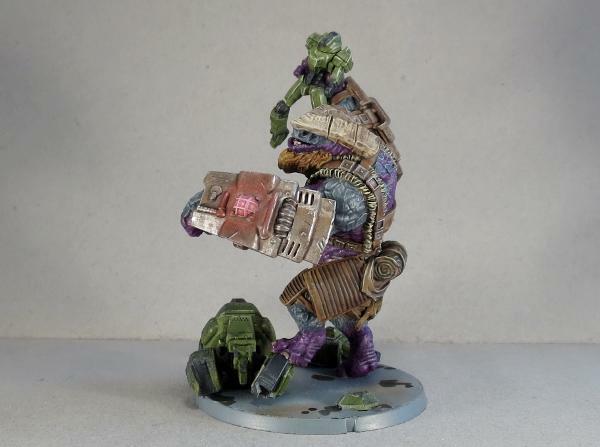 Striding about the battlefield in his powered exoskeleton, he has the ability to lay down impressive amounts of firepower from a wide array of weapons, or finely co-ordinate his forces through networked neural nodes. 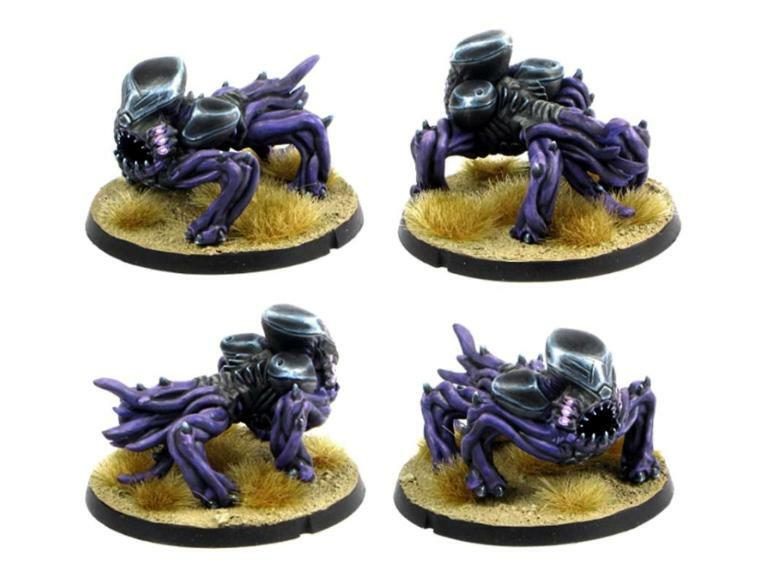 Here, we'll have a look at some of the modeling options available with this fantastic model. 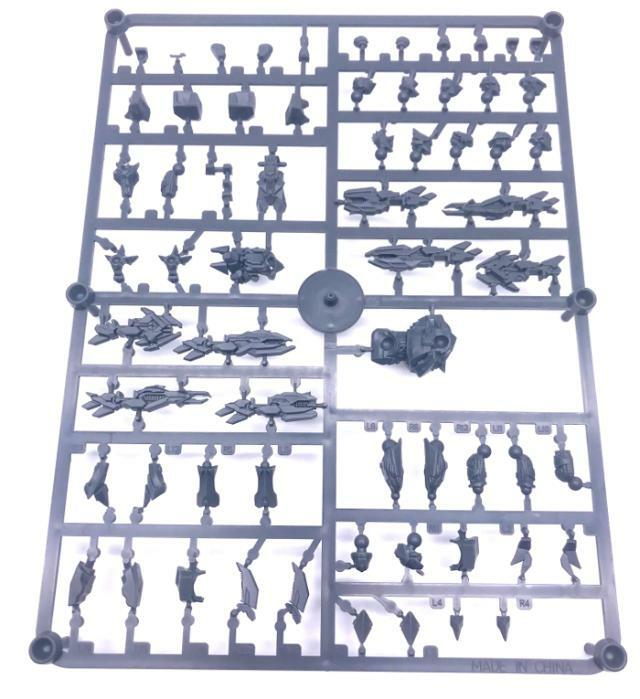 Built straight off the sprue, the Master Handler has multiple weapon options available - Repair Claws, Cutter Light Machine Guns, Drone Class Laser Systems and Flakk Guns can all be chosen for the arm mounted weapons in any combination, and the rectangular sockets on his backpack allow you to place Cluster Missile pods for even more punch, or Neural Nodes for throwing command points around with wild abandon. 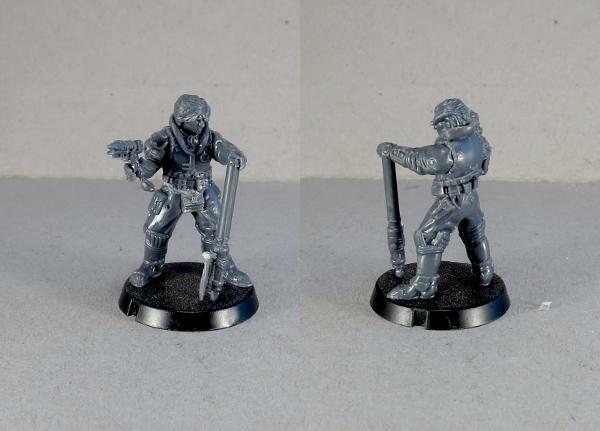 You can find the Assembly Guide for the Master Handler here. 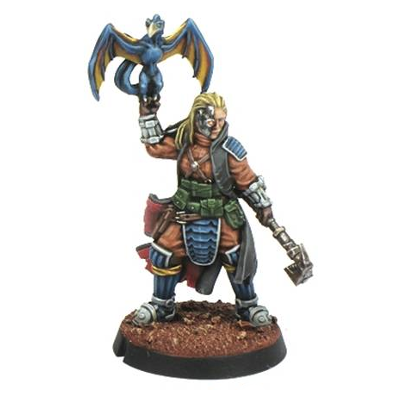 The Master Handler also brings some other impressive 'guns' to the table, with sleeveless and rather buff arms. 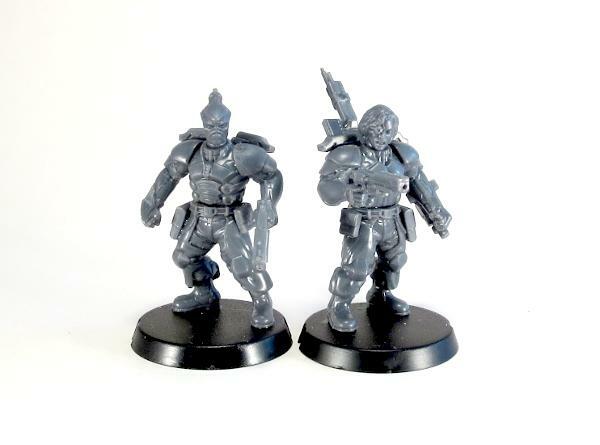 If you prefer a more covered look on your models, the arms can be fairly easily replaced with the armoured arms from the regular Bot Handler kit. 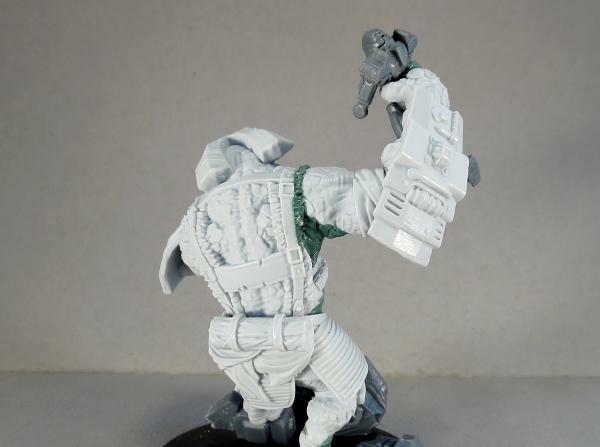 For the below model, on the sides of the torso I removed the protruding arc of plastic that sits just above the Master Handler's shoulders, and added a small locator pin made from a piece of plastic rod to the backs of the regular Handler's forearms. 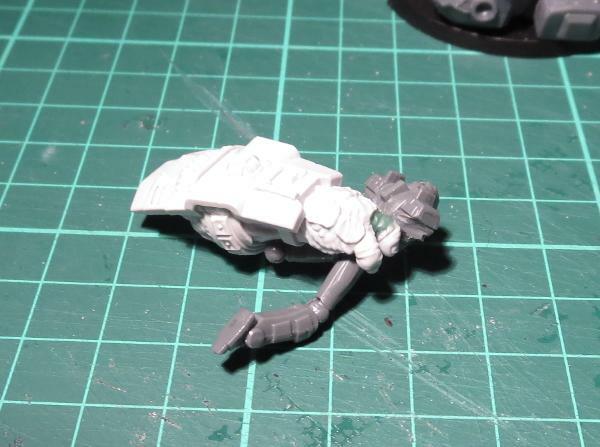 The arms were glued on to the torso with the tops of the shoulder pads sitting about where the original locator arc was, and the weapons slotted onto the locator pins on the arms as they do with the normal Master Handler arms. 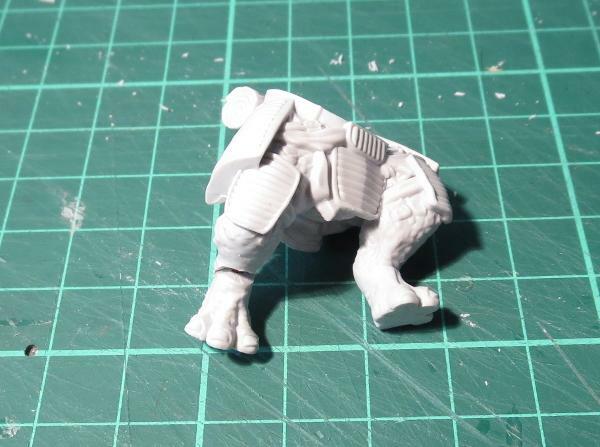 The sprue comes with two sets of legs, one in an upright stance and the other in a knees-bent, braced stance. To mix up the posing a little, you can cut through the groin with a razor saw or sharp hobby knife and switch legs between the two sets to create a stance with one straight leg and one slightly bent. 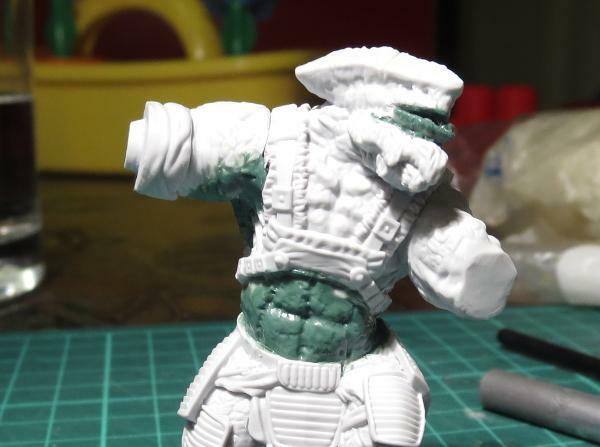 You might need a little gap filling with putty if the cut leaves the waist with a gap. 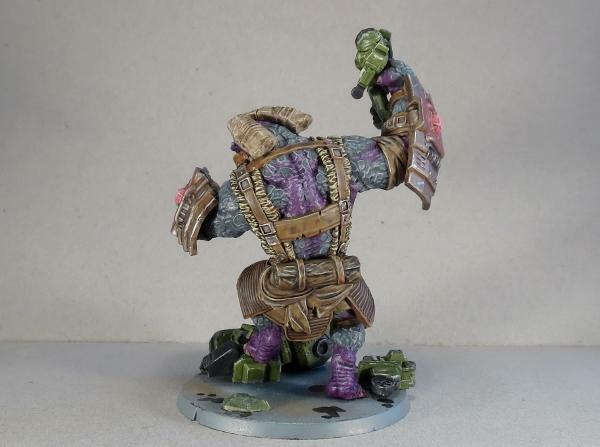 On the below model, I have also extended the right arm out by cutting the top of the shoulder off square, gluing it to the torso and filling in the armpit with some 'green stuff' putty. 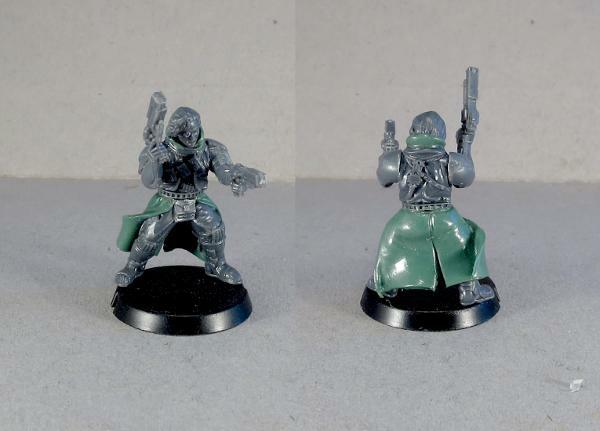 The left arm has also been slightly repositioned below the elbow, and I have used a head from the Epirian Contractor sprue in place of the Master Handler's helmet. 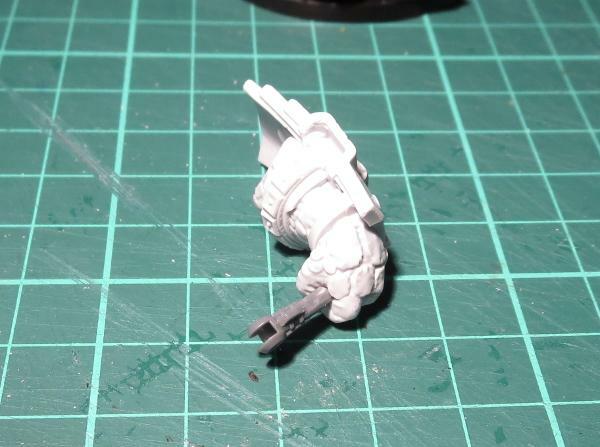 The leftover legs from the above model were used below, with a similar reposing of the right arm as well. I thought it might be handy to have a repair claw that was independent of the Handler's arms, so cut down one side of a backpack and drilled out a socket to attach one of the weapon support arms. I used two repair claws clamped over the ball joint on the end of the support arm to create a beefier, four-fingered repair claw. 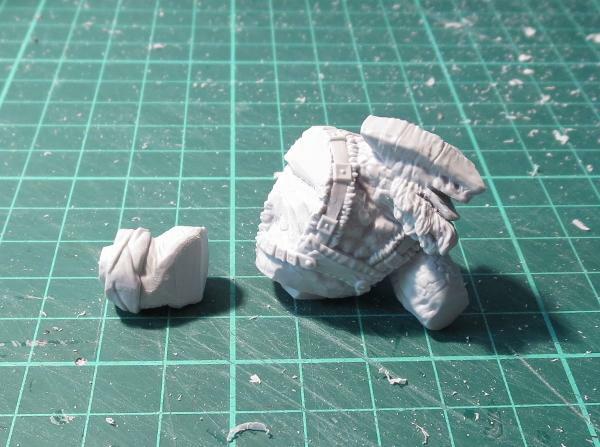 I also took the two Neural Nodes and cut them in half so that they would both fit on the other side of the backpack, and used a helmet from the regular Bot Handler sprue. 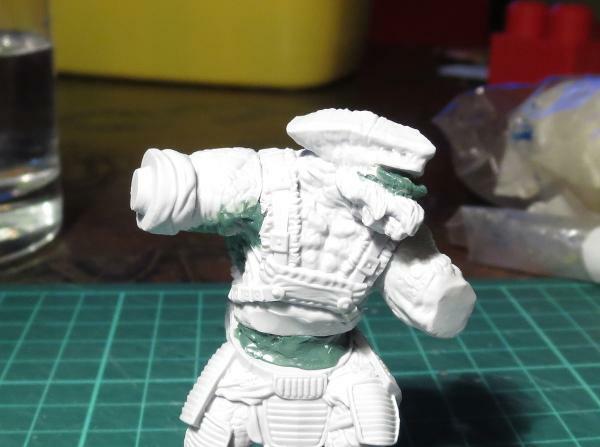 The neck joint on the Master Handler torso is compatible with any of the different plastic Epirian heads, and also works with most of the heads from the Broken Infantry pack, which is handy if you want to create an alien Handler for your force. 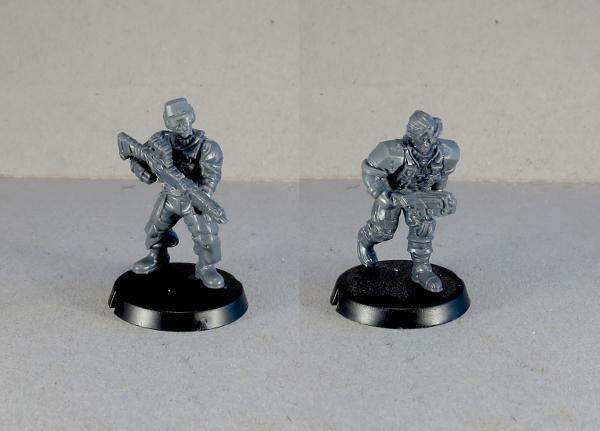 For the below model, I aso left the weapon support arms off entirely, and built the Drone Class Laser System directly into the backpack by trimming off the backs of the weapons at an angle to match the backpack panels. 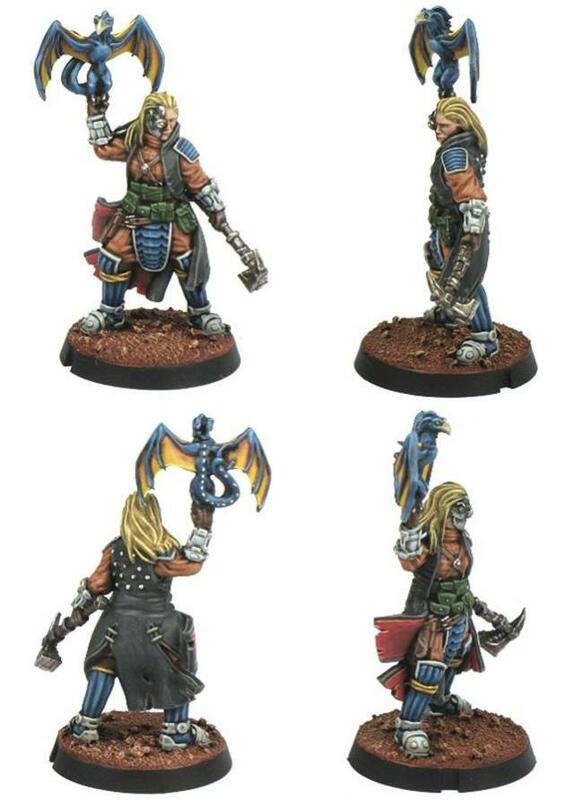 Because the Master Handler comes with two sets of legs and torsos, you're going to wind up with some spare parts. 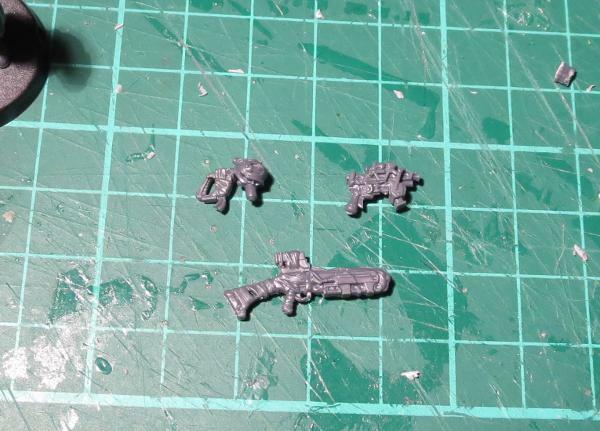 It seemed a shame to waste these, so I used a leftover helmet from the regular Handler sprue, and some Clingfire Sprayers and a command module from the Epirian Scarecrow kit to create a twin-flamethrower-equipped model that I'm calling an 'Eradicator'. 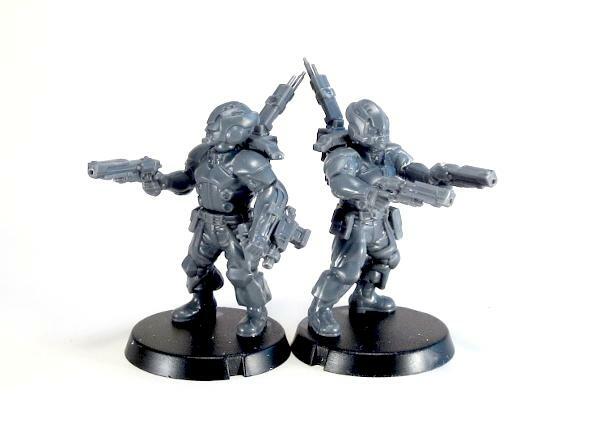 The fuel hoses on the backs of the weapons are made from guitar string. I thought it might also be fun to add some of that shiny, missile-pod goodness to a drone unit, and so I took a Master Handler backpack, trimmed off the bottom and stuck it onto the back end of a Spider Drone. I don't have a name for this friendly little fellow yet... I think I'll have to revisit that in a later article! 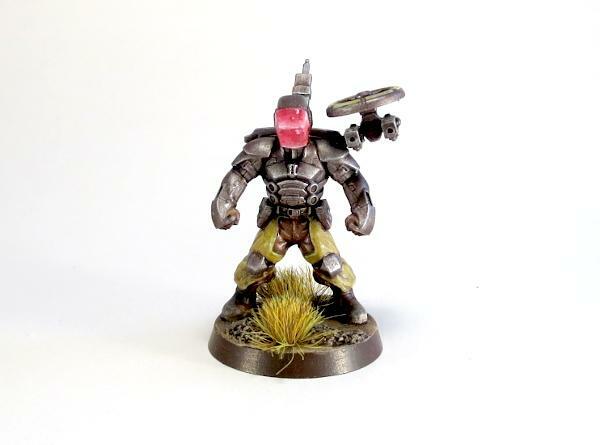 Bot Handlers serve as unit and force commanders amongst many Epirian forces, with their neural interfaces allowing them unparalleled access to tactical information and the ability to control bots at a distance. 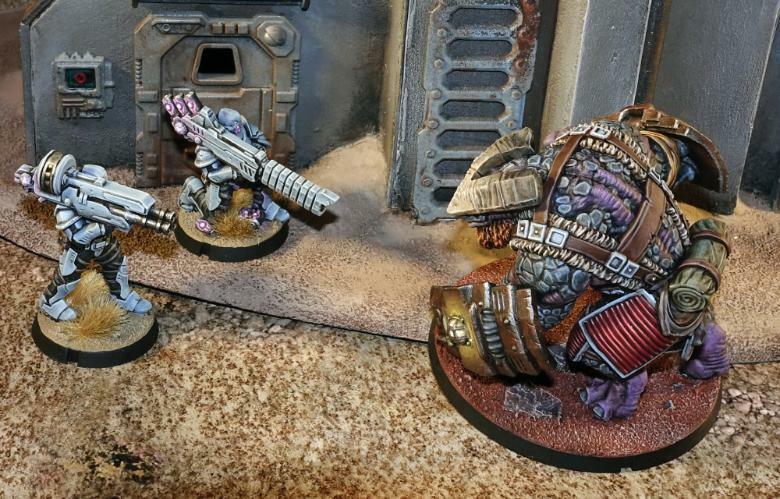 The Maelstrom's Edge Bot Handler sprue comes with parts to build two Bot Handlers, and this week we're having a bit of a look at just what you can do with them. 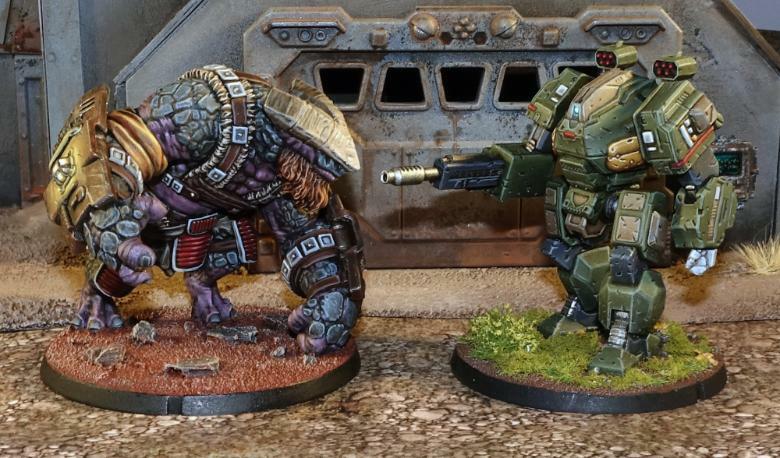 There are two different types of Bot Handlers in the game at the moment - The Apprentice Bot Handler, and the Journeyman Bot Handler. 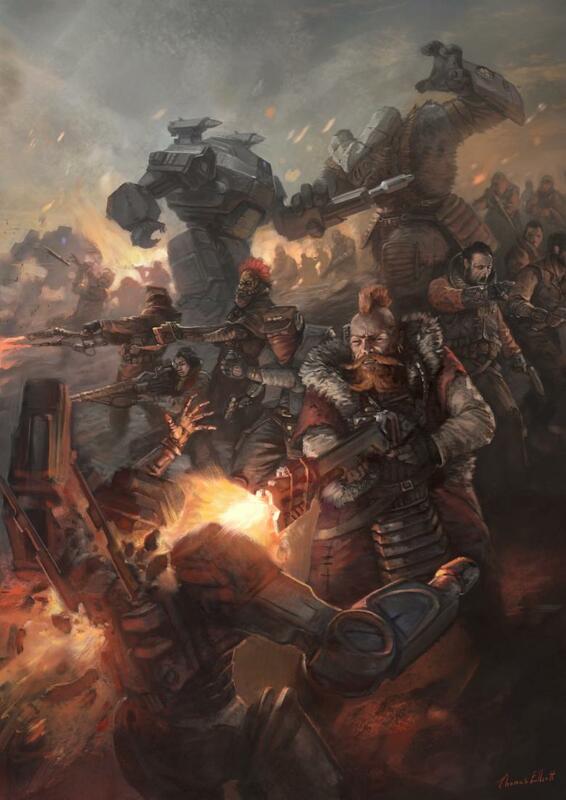 Apprentice Handlers lead units of Spider Drones in battle, while the more experienced Journeyman Handlers serve as low-level army commanders. 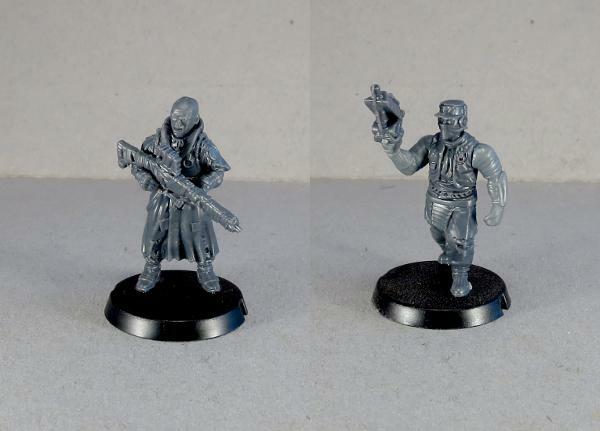 These serve below the Master Handler, who will be added to the range soon with a new model and rules card. Apprentice Handler (left) and Journeyman Handler (right). 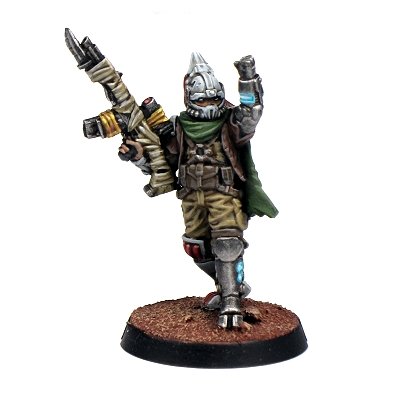 The Apprentice Handler is equipped with a Maglock Dominator Pistol (a more powerful version of the Maglock Guardian Pistol used by Epirian Contractors) and uses a Tactile Bot Interface on one arm to interface with the bots under his direct control. Apprentice Handler. 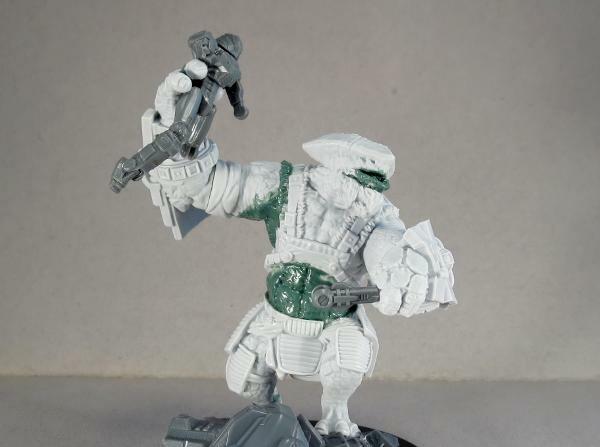 The left arm has been slightly converted to look like he is motioning with the tactile interface gauntlet. 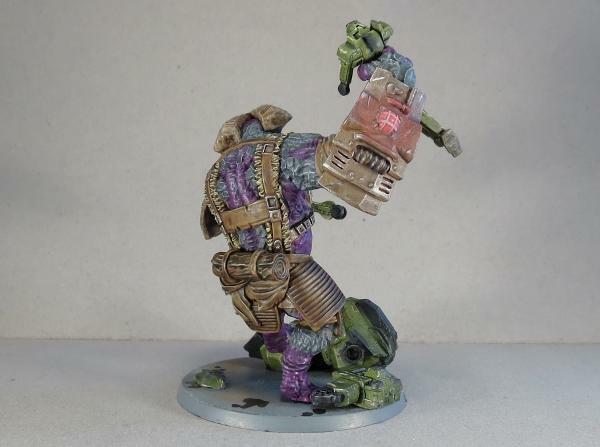 The Journeyman replaces the tactile interface with a more sofisticated Neural Interface, which frees up his hand to take a second pistol, or a forearm mounted grenade launcher. 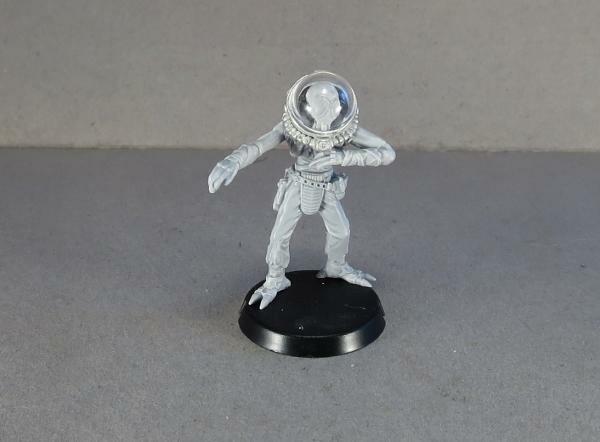 Thanks to the modular nature of the Maelstrom's Edge kits, making small modifications to your models to personalise them a little is extremely easy. 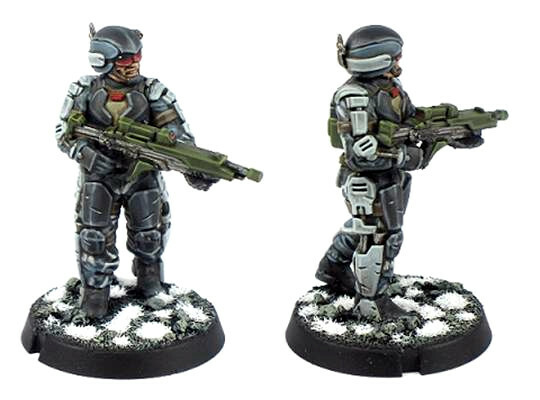 The standard Handler helmets can be swapped out for heads from other Epirian kits, or even from other factions. 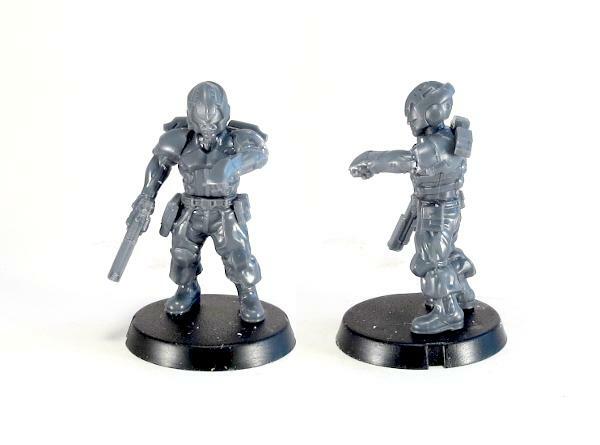 Bot Handlers with heads from the Broken Infantry Pack. 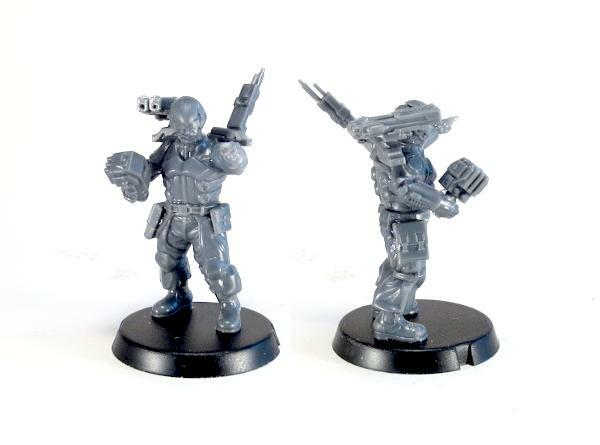 Journeyman Handler with arms taken from the Broken Infantry Pack and the more streamlined helmet from the Faction Expansion Sprue. 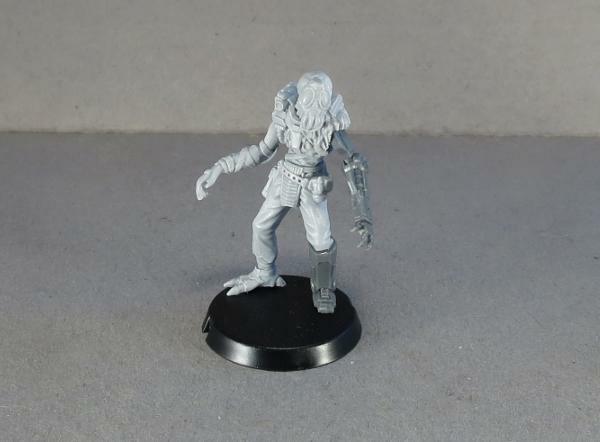 Getting slightly more advanced, the below model was given a new pose by cutting two sets of legs apart at the groin and swapping halves to create a wide-legged, braced stance. 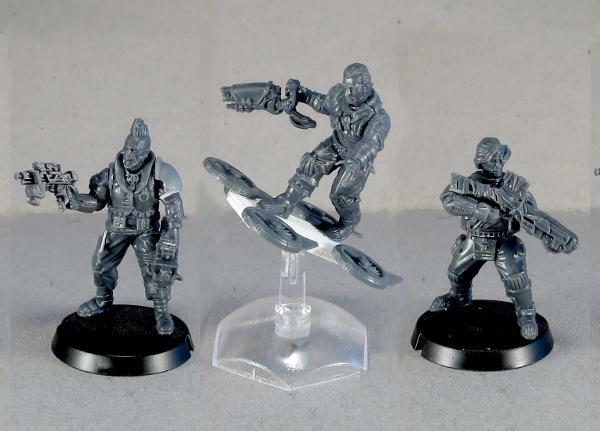 A visor was added over a regular Contractor head with 'green stuff' putty, and the dual pistols were built onto a mini-drone made from a Firefly Drone turbine. 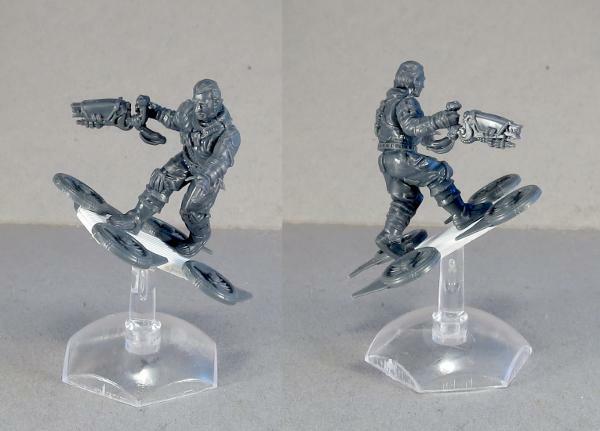 Or for something more outside the box, this Handler was reposed slightly by bending the legs outwards and replacing the right hand with an open Karist hand from the Faction Expansion Sprue, and was given a Drone Bike made from an Epirian Drone chassis and a Games Workshop bike. 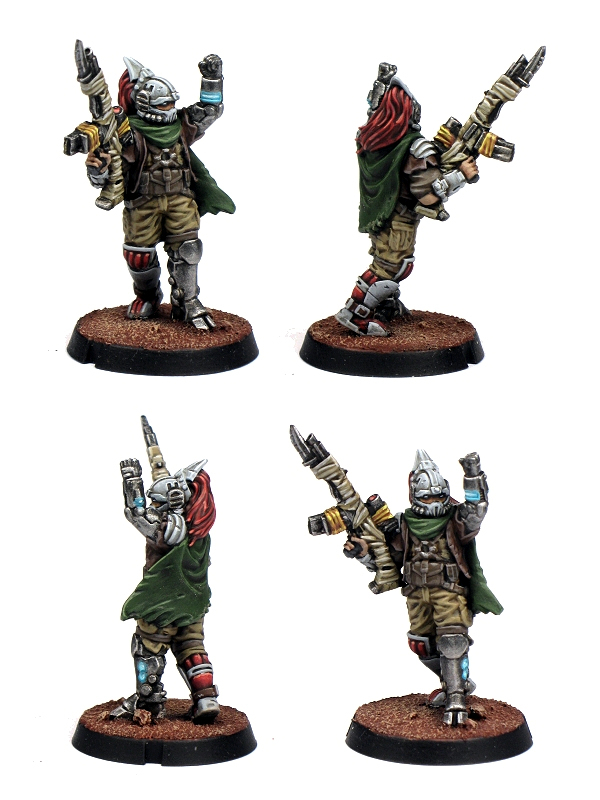 To pick up the Epirian Bot Handler kit, or any of the rest of the Maelstrom's Edge model range, visit the webstore here. As always, we would love to see your creations on the Comm Guild Facebook page! This month sees the release of a new type of unit to Maelstrom's Edge, with the addition of the Marsayan Hypnotist to the Broken faction. 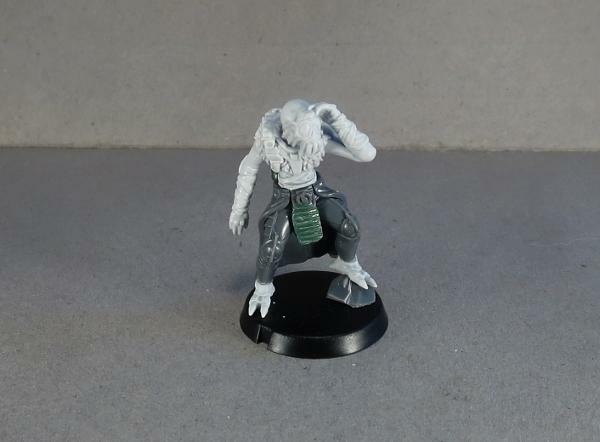 Rather than a unit in his own right, the Hypnotist is fielded as an upgrade to other units - an idea that will be carried across to other factions later to help mix things up a little. 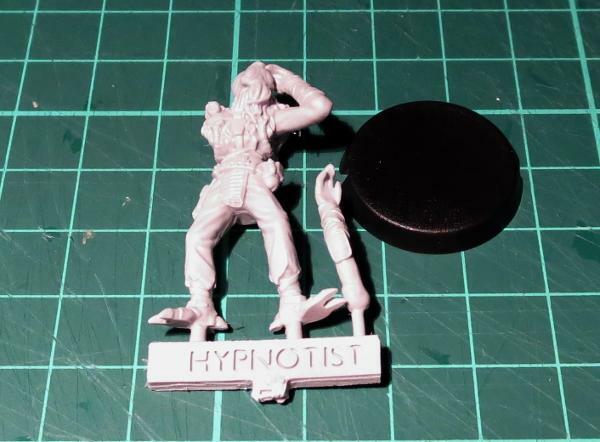 While he doesn't have any weapons or ability to directly hurt enemy units, the Hypnotist uses his inate abilities to interfere with enemy attacks directed towards his unit. 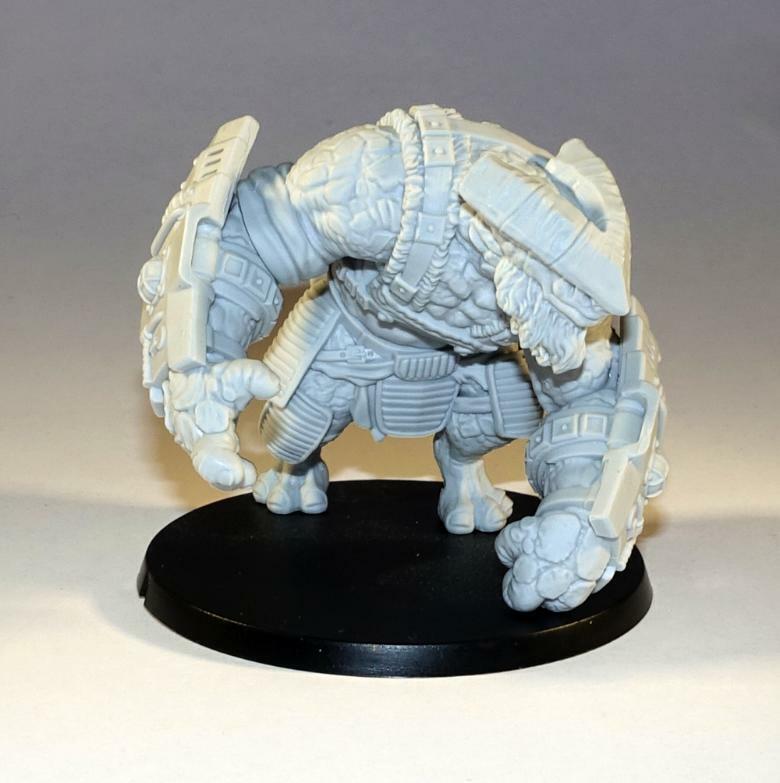 Here, we have a look at some modeling options for this great resin model. 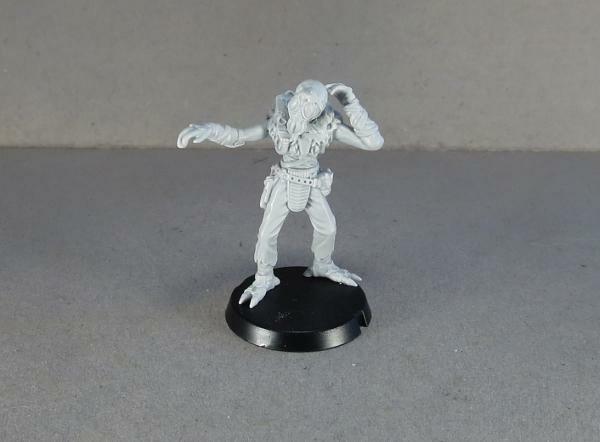 The Marsayan Hypnotist is a two-piece resin model, and comes with a 25mm base. 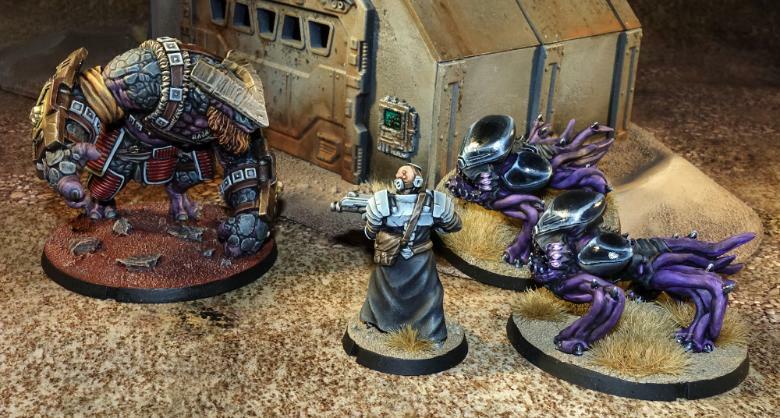 If you haven't worked with resin models before, you might want to check out the handy guide here. 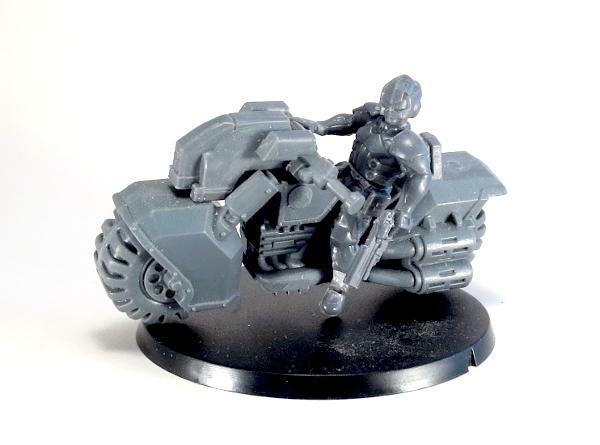 Assembly is simple - cut the model from the frame, glue his feet to the base with superglue or a fast-setting epoxy (I use superglue with an all-plastic primer, for some extra grip without messing about with plastic. 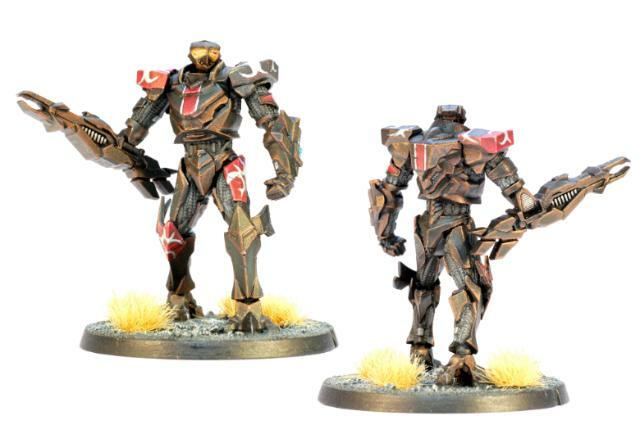 The assembled model is a little taller than a human, but slightly more slender. 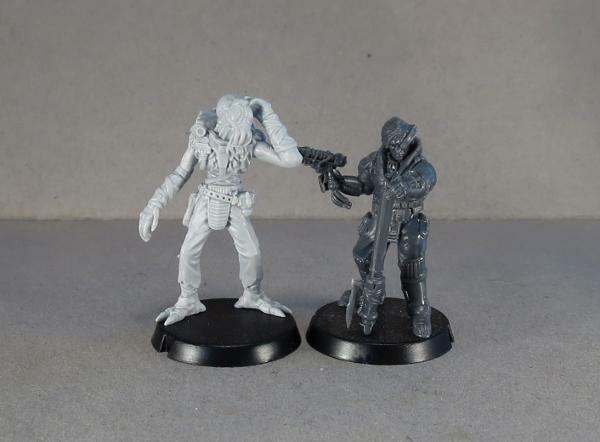 Due to the nature of the Broken as scavengers and refugees, it can be fun to mix up the models a bit by using components from other kits. 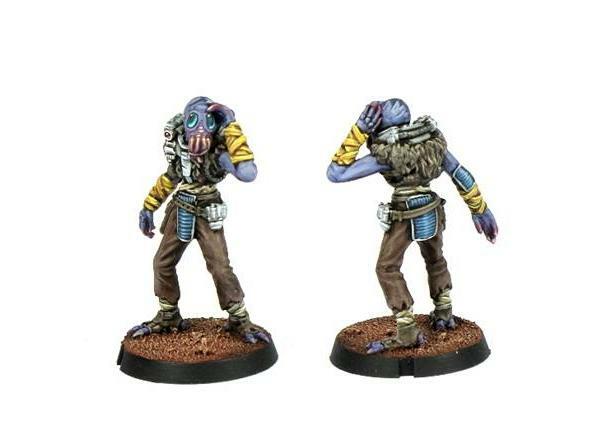 Here, I replaced the Hypnotist's legs with the legs from a Karist Kaddar Nova. For something slightly more ambitious, on this one I carefully cut through the resin where the fingertips touch the model's head, and then cut through the neck. The neck was trimmed away and replaced with a new one sculpted from 'Green Stuff' sculpting putty, and the head reattached facing to the right instead of the left. I also cut the left hand off at the wrist and reattached it at a slightly different angle, so that the fingertips still touch the head. Some worlds are less comfortable for some species than others. 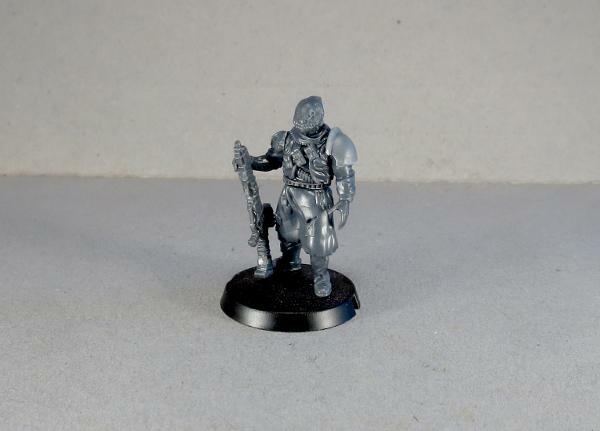 On this model, I cut through teh left arm at the shoulder and rotated it downwards to cross the model's chest. 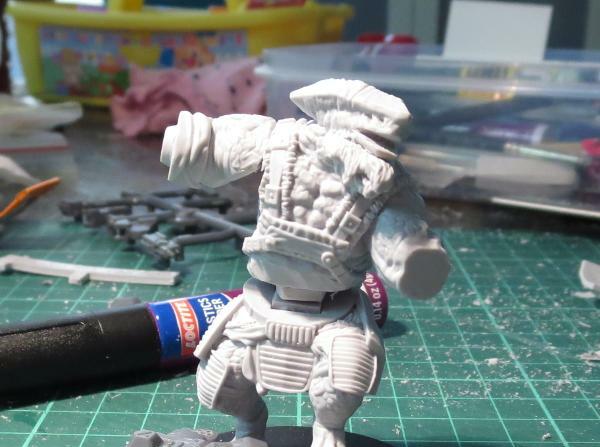 I also removed the head and repositioned it slightly, flattened off the top of the shoulders, and added a domed helmet from Bombshell Miniatures. Finally, bionic limbs are a common feature amongst the Broken. 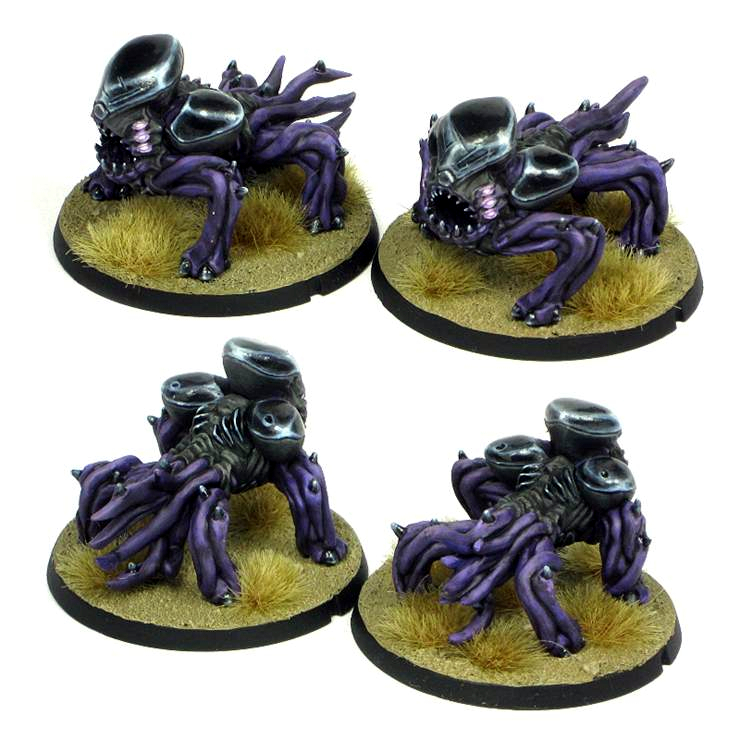 While these have no specific in-game effect, they're a great way to add some character to your models. Here, I have replaced the Hypnotist's lower leg and left arm with parts taken from an Epirian Scarecrow bot. What have you done with your Hypnotists? We would love to see your creations on the Comm Guild Facebook page! 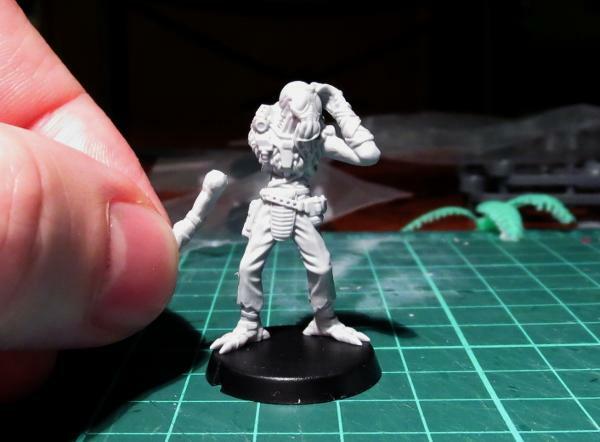 To pick up the Marsayan Hypnotist, or any of the rest of the Maelstrom's Edge model range, visit the webstore here. 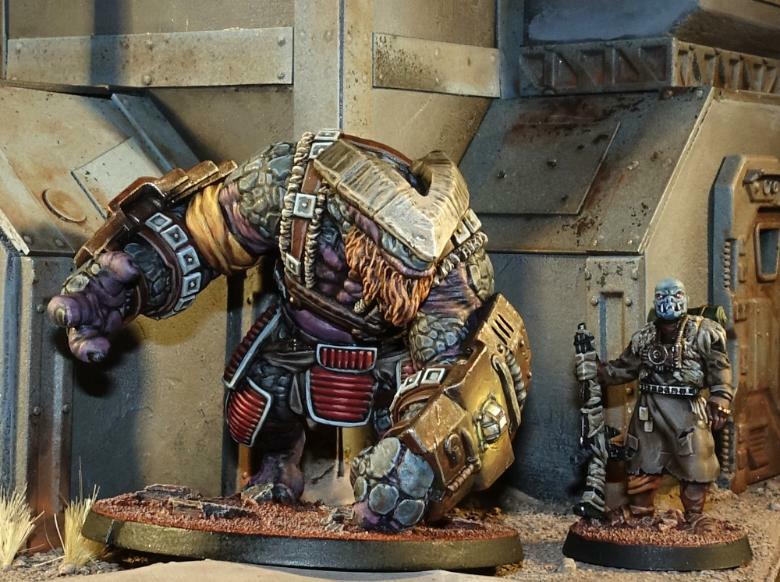 This week saw the arrival of the biggest model yet for Maelstrom's Edge: The Gnolti! 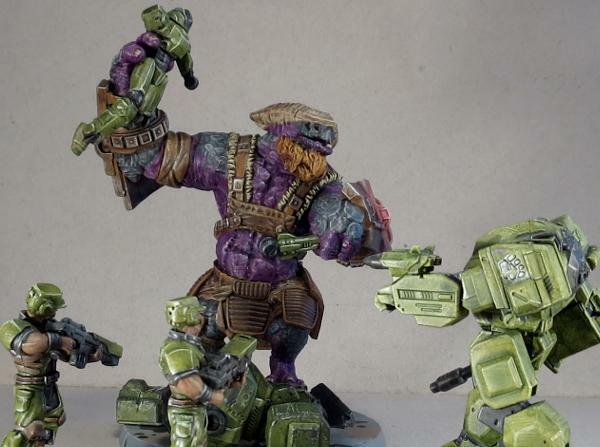 The Gnolti is a multi-part resin kit, with a little posability in the forearms due to the circular connections. One of his hands is open, and this seemed like it was just asking to be holding something breakable. So, I sliced off the forefinger so that I could close in his grip a little, and reattached it with some green stuff, and gave him a little friend to play with, courtesy of the Epirian Scarecrow kit. The left hand is in a closed fist, and is designed to sit knuckles-down on the base. I reshaped the flattened bottom surface of the fingers to make them more rounded, and then pinned the scarecrow's left forearm into the Gnolti's grip. To create a more upright stance, I ran the legs under some hot water and carefully bent the lower right leg out and back. 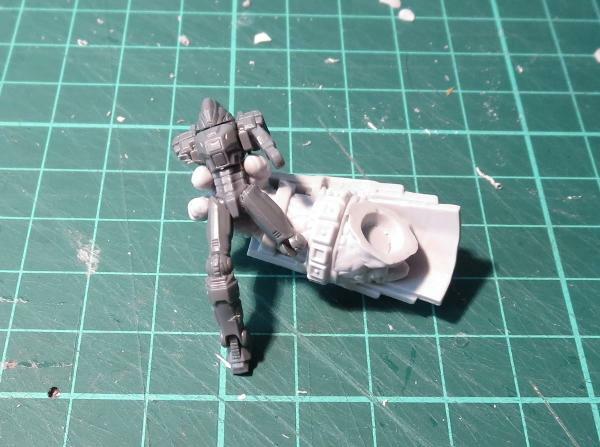 Apparently, I wasn't careful enough, as I managed to snap it off through the shin, but with a little drilling and pinning, I wound up with legs positioned how I wanted them. 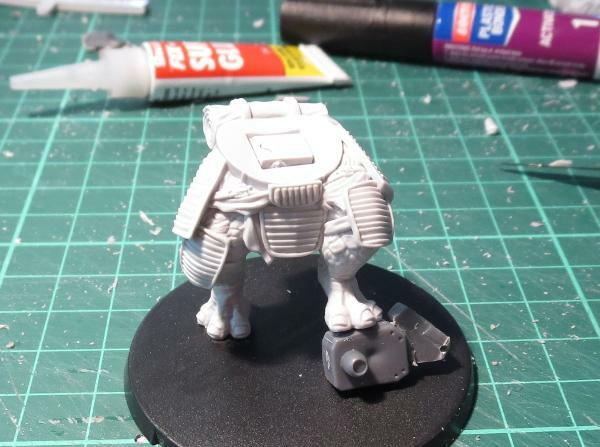 Adding a Hunter mech's leg for the Gnolti to stand on, I glued the legs in place on the base, and added a piece of sprue to fill in the slot for the torso's locator peg. Taking the torso piece, I used a razor saw to slice off the right arm at the shoulder, cutting out a wedge on the top so that it could be reattached in a more raised position. I also cut a thin wedge out from his chin at the top of his beard, and then added a cut between his lips so that I could bend his lower lip down into a mouth-open position. 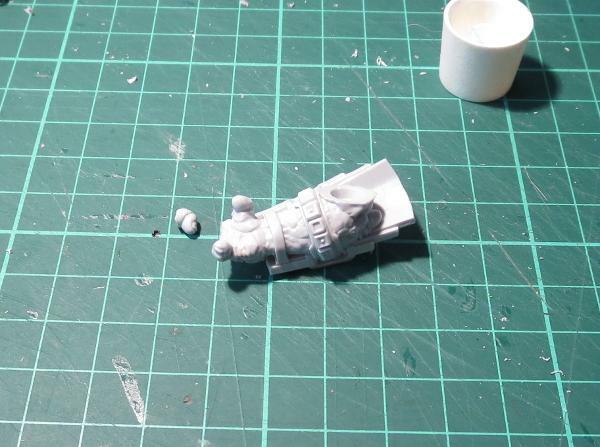 The torso was then glued in place, with the sprue in the waist-hole allowing the torso to sit upright. The lower lip was padded out with some green stuff to repair the minor damage from sawing it open. I also filled in the cavity in his waist, and started added detail back in under the right arm. Another layer of green stuff gave him some abdominal muscles, a tongue, and a single flat tusk in his lower jaw. Finally, the forearms were glued on, and a last run of green stuff added to replace the fur trim on his right shoulder strap. 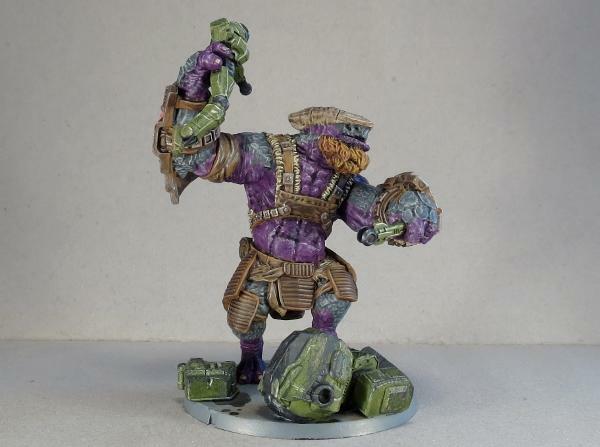 With that, it was time to paint! 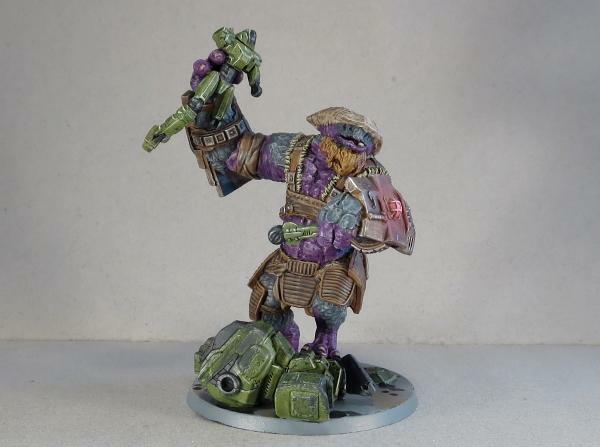 I went with a colour scheme that was reminiscent of that used on the studio model shown here, but with slightly more muted colours to fit in with my quick, wash-painted Broken colour scheme. 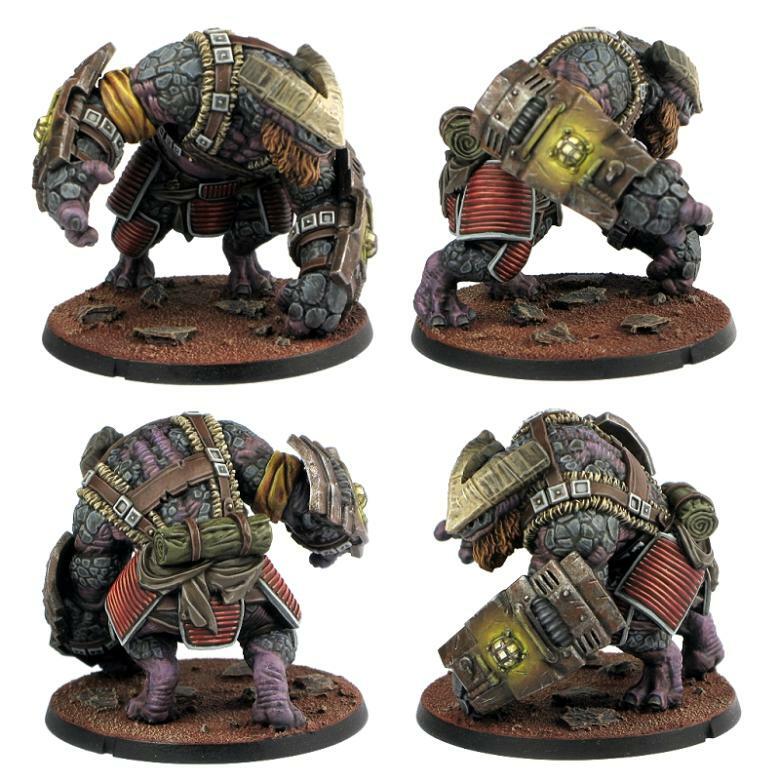 To pick up your own wee beasty of broken doom, or any of the rest of the Maelstrom's Edge model range, visit the webstore here. As always, be sure to show off your work on the Comm Guild Facebook page!